This simple and brief tutorial is going to show you how to easily install Subsonic music streamer in Ubuntu Server and Desktop, using the ppa repository which supports Ubuntu 13.04 Raring, 12.10 Quantal, and 12.04 Precise. Subsonic is a web-based music streamer, jukebox and Podcast receiver, providing access to your music collection wherever you are. Use it to share your music with friends, or to listen to your music while away from home. A Subsonic client for Android phones is also available. 4. Finally edit subsonic configuration with your favorite editor and change the line “SUBSONIC_USER=root” to “SUBSONIC_USER=subsonic”. 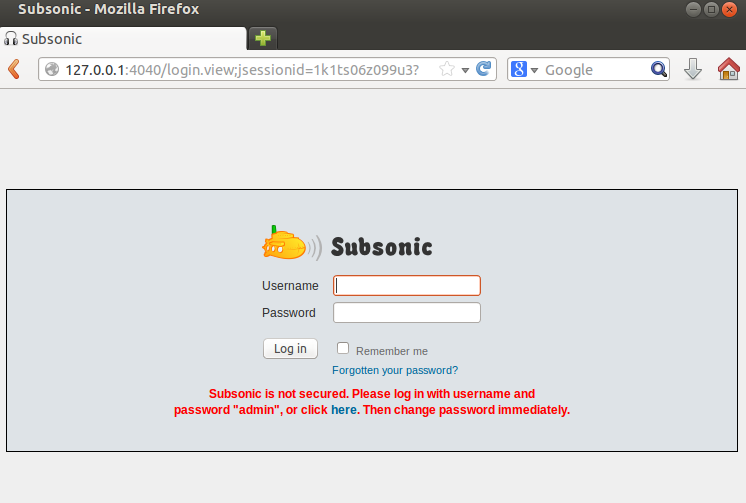 No user responded in " Subsonic Music Streamer in Ubuntu 13.04/12.10/12.04 "